In celebration of donating $100 million to charities around the world through their AmazonSmile program, Amazon is launching their biggest bonus donation to date — 5% for 5 days. 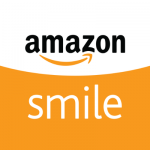 From Oct 29 – Nov 2, they’ll donate 5%, ten times their usual rate, on all eligible smile.amazon.com purchases. smile.amazon.com/ch/45-0519586 and check to make sure “Supporting: Clackamas County Arts Alliance” is displayed under your search bar as below. Worried about having to remember to click the right link each time you visit Amazon? Worry no more! 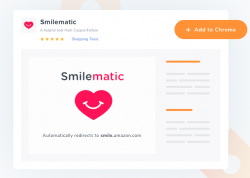 Smilematic is a FREE tool that works with your internet browser, so every time you visit Amazon, you will automatically be directed to AmazonSmile. Simply download the extension that is compatible with your internet browser of choice. Shop! 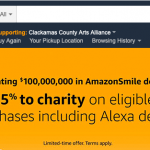 Now every time you shop at Amazon, you will be supporting our mission of keeping arts and culture central to life in Clackamas County! I read this article and found it very interesting, thought it might be something for you. 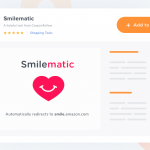 The article is called This Week Only: Amazon Donating 5% for 5 Days with AmazonSmile and is located at https://clackamasartsalliance.org/news/this-week-only-amazon-donating-5-for-5-days-with-amazonsmile/.